Are you looking for a new best friend? You’ve come to the right place. Whether you are looking for a puppy, kitten, dog or cat we have many wonderful pets just waiting to go home with you. If someone specific catches your attention, we ask that you fill out a pre-adoption application. 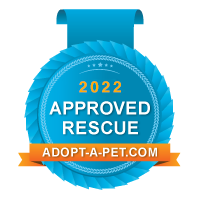 This is the first step in our adoption process, which allows us to determine if your potential new best friend would be a good fit (we know, sometimes someone is super cute but just might not fit your lifestyle). If you two seem like you would make a good pair, we can then arrange a time for you to meet. Want to know about the complete adoption process? Check it out here.